This summer is tipped to be a brutally hot one in Australia, and climate researchers from the Australian National University believe it’s only going to get worse with studies indicating Melbourne and Sydney could experience temperatures of 50 degrees Celsius by 2100. While it won’t get quite that hot this summer, Australia is still predicted to fry through the next few months, and so Culture Trip has prepared a list of places where you can keep cool and escape the heat. No trip to the Gold Coast in Queensland is complete without visiting the theme parks, and in summer there are two in particular that you need to make a bee-line for. The first is Wet’n’Wild which has been soaking crowds since 1984. 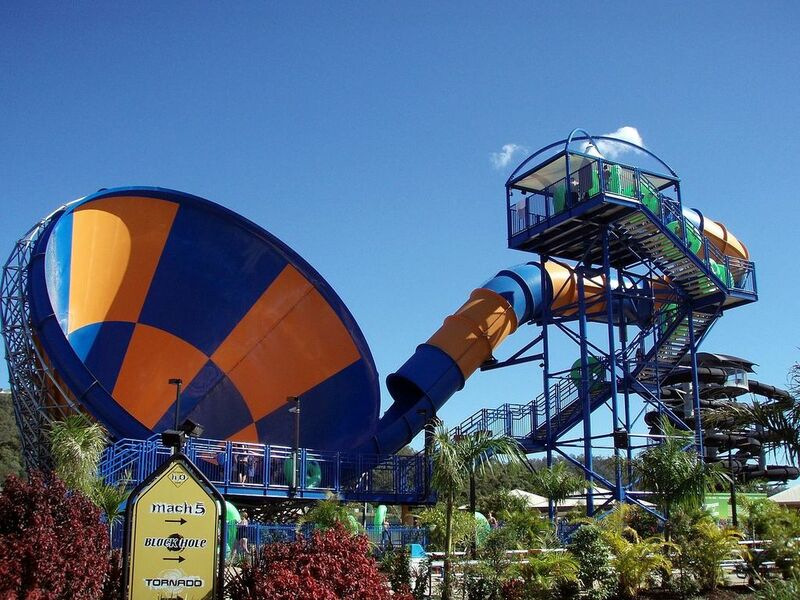 Located next to Movie World, the park features 17 water slides including the Tornado, Kamikaze and gravity-defying AquaLoop. The Gold Coast is also home to WhiteWater World where you can drift across the tide at Cave of Waves, plummet down The Wedgie and splashdown The Green Room. Perched on the southern end of Bondi Beach, Bondi Icebergs Club is a historic landmark, where Sydneysiders have come to cool off since 1929. Open to the public all year round; the swimming pool complex includes a lap pool and kid’s pool both of which are patrolled by qualified lifeguards. 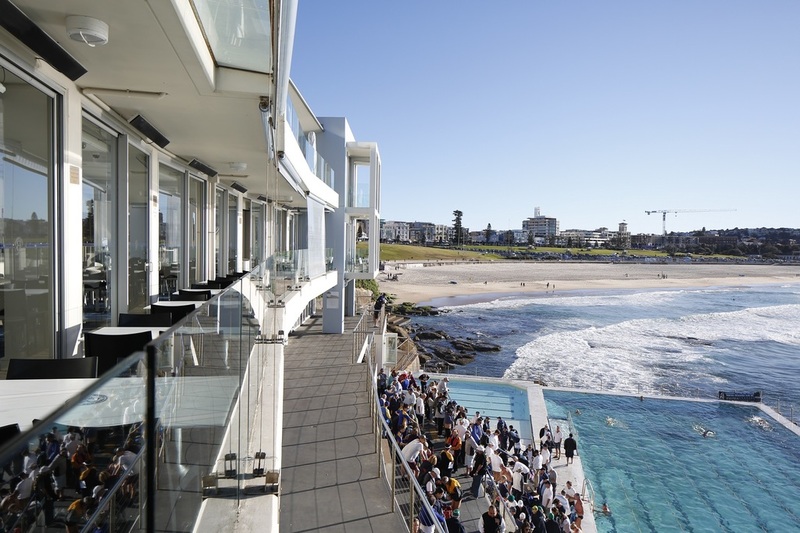 Following a refreshing dip, visitors can tuck into a meal at the bistro which overlooks the scenic Bondi Beach. 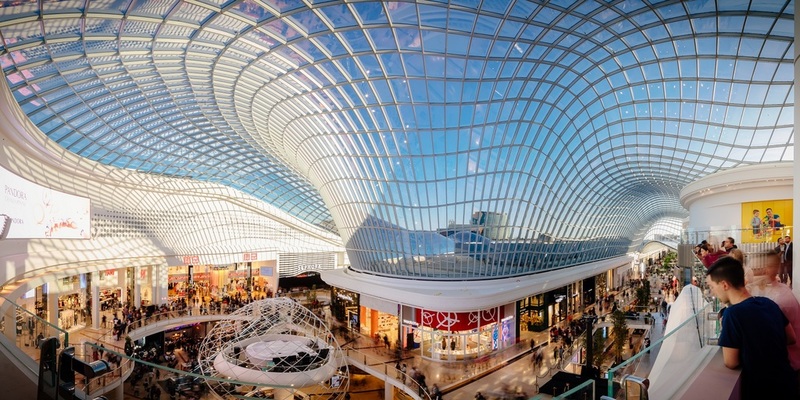 Escape the heat with some retail therapy, and where better to go than Chadstone – Australia’s largest shopping centre. This mammoth retail precinct boasts over 500 stores including luxury boutiques such as Burberry, Chanel, and Prada as well as department stores Myer and David Jones. In addition, the mall has a state-of-the-art HOYTS Cinema Complex, Australia’s first LEGOLAND Discovery Centre, a Dining Terrace and Food Central. Tasmania has a cool temperate climate and in summer the average temperature is between 17 and 23 degrees C according to Discover Tasmania. 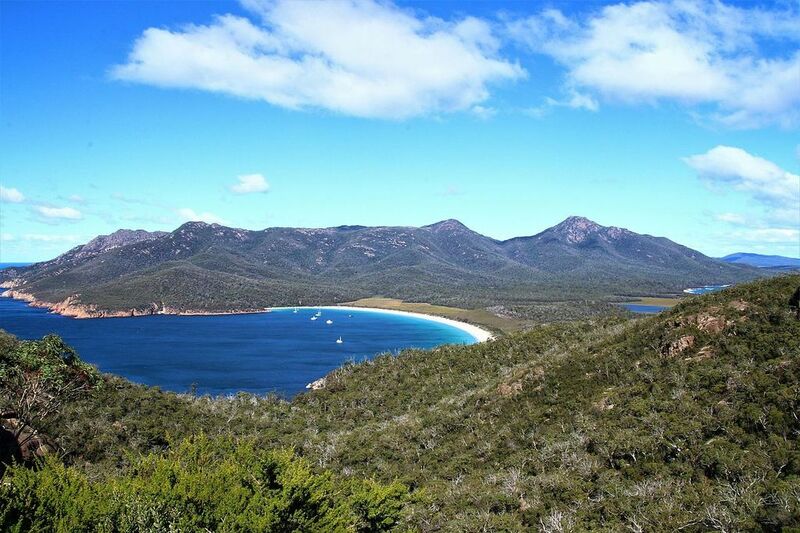 This makes Tassie the ideal destination to escape to during a heatwave and one of most picturesque places on the island is Wineglass Bay at Freycinet National Park. Considered one of the top 10 beaches in the world, Wineglass Bay is a secluded crescent coastline with luminous white sand and pristine turquoise waters. To make the most of your time there book a laid-back sightseeing cruise across the bay. Taking a swim in the Northern Territory can be precarious, but in Darwin, there are two lagoons free of crocodiles and stingers. Located on the Darwin waterfront the Wave Lagoon and the Recreation Lagoon are manmade, concrete-bottom pools filled with sea water. Within the lagoons natural ecosystems exist and contain fish, algae, and Cassiopeia jellyfish. There is also a shallow still water area for toddlers. The Recreation Lagoon is free to use. Meanwhile, there is a small fee to use the Wave Lagoon which includes boogie boards and water tubes hire. 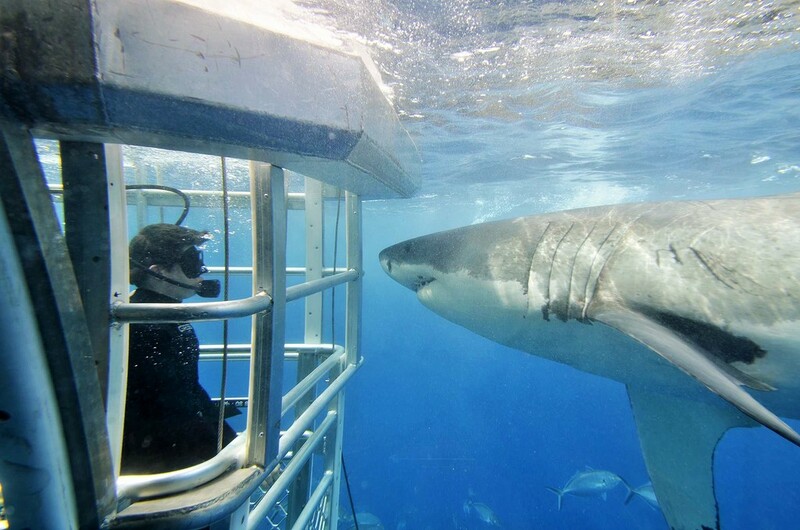 For a spine-tingling experience visit Port Lincoln where you can safely encounter Great White Sharks in their natural habitat.While there are several tour operators, Adventure Bay Charters is only one to offer an eco-friendly experience. They also boast a one-of-a-kind Aqua Sub which allows you to see the sharks underwater without getting wet. If you do choose to enter the cage, and we highly recommend that you do, the water surrounding the Neptune Island maintains a comfortable 15-2 degrees C throughout the year. During the summer months Perth receives an afternoon sea breeze known as the ‘Fremantle Doctor’ which cools the coast and provides much need relief on hot days. If that’s not enough, Culture Trip recommends Bather’s Beach House. As the only venue in Perth with a license to serve beers on the beach, Bather’s Beach House might just be the best place to hang out when the mercury rises. The venue has several spaces to choose from including an indoor restaurant, alfresco terrace, and upstairs veranda as well as 24 sun lounges right on the sand where you can relax after a dip in the sea with a share platter and a cold beer.